Starlette is a natural shepherd of words and people, leading both to their best and fullest expression. One calling in two locations, she serves as the interim pastor at Village Baptist Church in Bowie, Maryland and the Minister to Empower Congregations with the D.C. Baptist Convention. She is a graduate of both Buffalo State College and Colgate Rochester Crozer Divinity School. Tired of being black and living the prepackaged existence of a racialized life, she now builds a world without race. Proclaiming the race-less gospel, Starlette strips race of its pseudo- foundational position in the construction of human identity by challenging its purpose in the Christian life. A visionary, she calls for persons to join her in living a race- less life, seeing themselves as human beings rather than racial beings. She has spoken before the World Council of Churches North America, the Cooperative Baptist Fellowship and the Servant Leadership School in Washington D.C. on the Church’s role in the ministry of racial reconciliation and her writing on the race-less gospel of Jesus Christ was featured in Faith Forward: A Dialogue on Children, Youth and a New Kind of Christianity (Woodlake Publishing, August 2013). The blog, previously known as The Daily Race, has been featured on the Associated Baptist Press and Ethics Daily websites along with other websites. She has written for Baptist News Global, Baptist Women in Ministry and regularly writes for Smyth & Helwys publishing company. 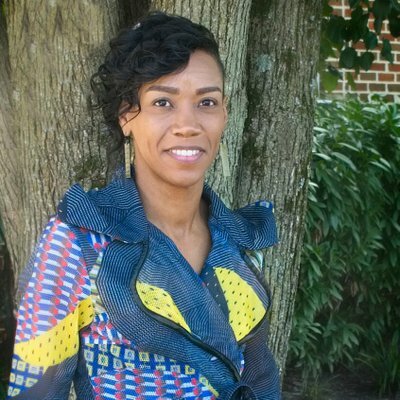 In 2018, she was awarded a pastoral study grant from the Louisville Institute and the Lily Foundation to study the social construct of race in the formation of Christian community. Examining the work of Clarence Jordan, whose farm turned “demonstration plot” in Americus, Georgia refused to agree to the social arrangements of segregation because of his Christian convictions, Starlette hopes to take this dirt to the Church. Her thesis is titled, “Afraid of Koinonia: How life on this farm reveals the fear of Christian community.” To read more about the project’s aim, click here. Hello Starlette, It was my pleasure to meet you last week. Unfortunately my cold kept me indoors for several days. My return to California is happening in a few days till I return to MD in February to finalize my plans. Feel welcome to keep in touch: TravisDuane gmail — Merry Christmas and Happy New Year 2016!